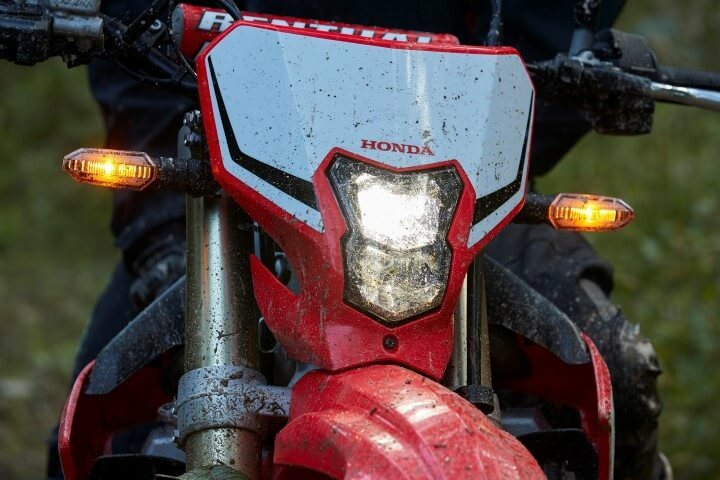 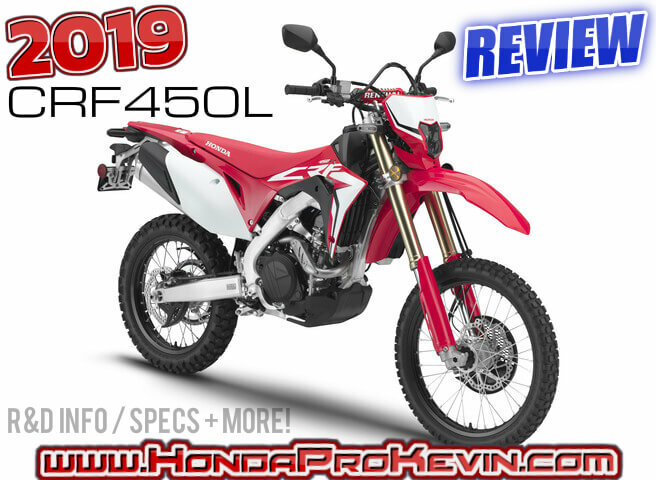 2019 Honda CRF450L Review of Specs / Features + R&D Info | All-NEW Dual-Sport Motorcycle! 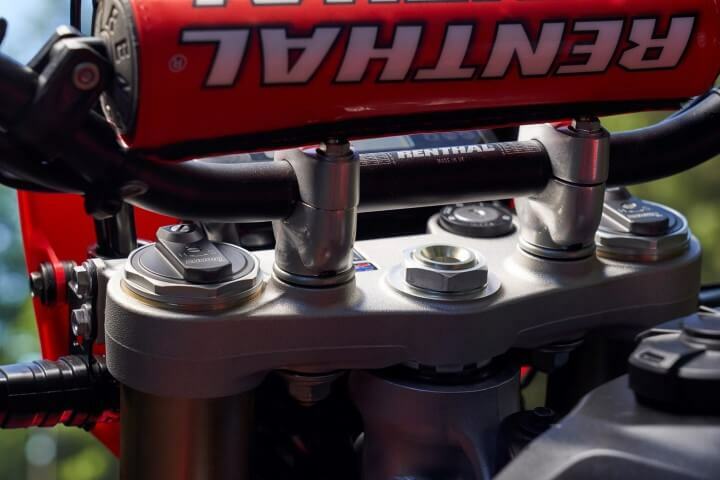 That may be a tough pill for some to swallow. 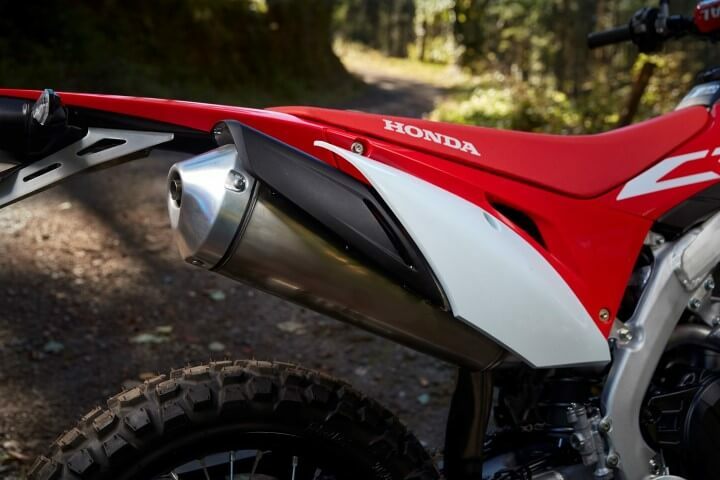 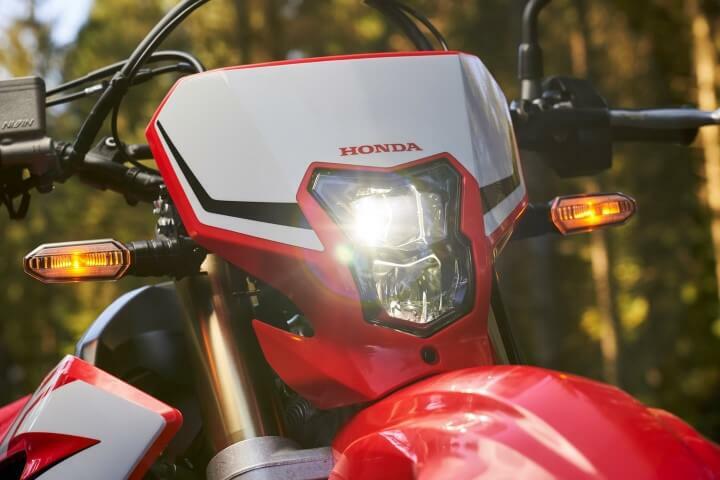 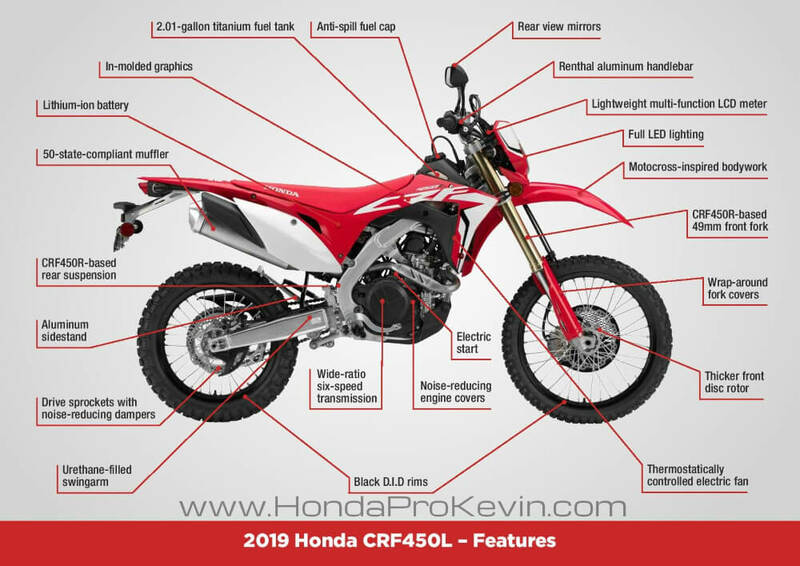 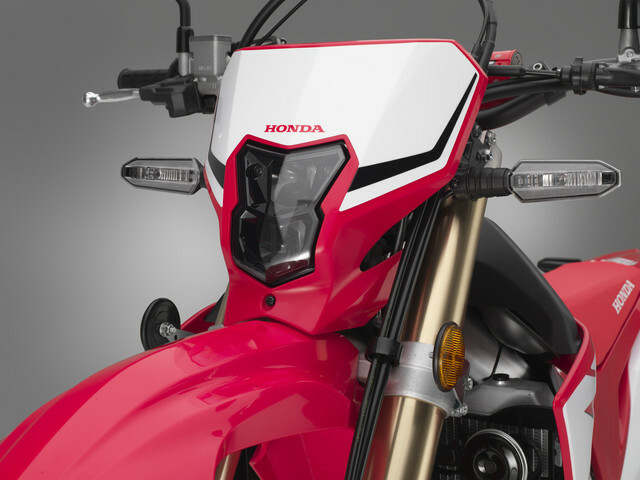 Once you really start comparing the nitty-gritty details though between the models, it’s beyond clear at where that money was spent from Honda when it comes to R&D on this new CRF450L and personally I think we’ll have a homerun on our hands. 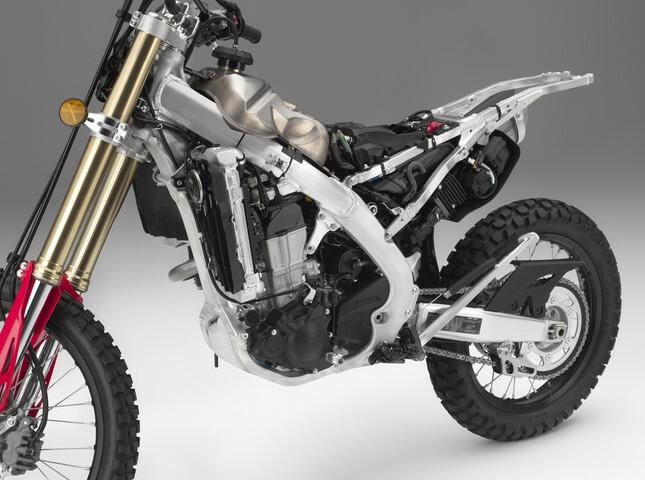 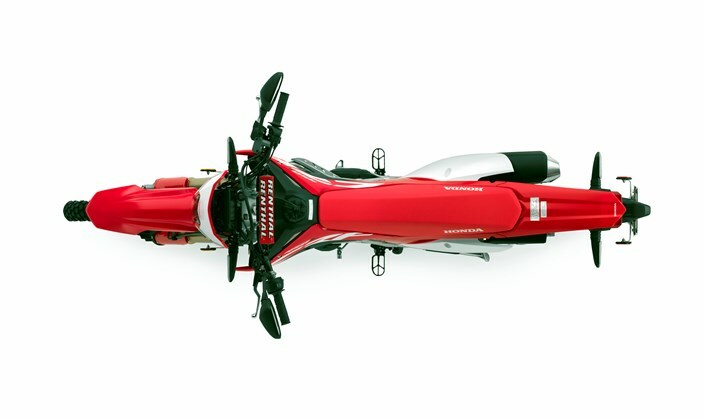 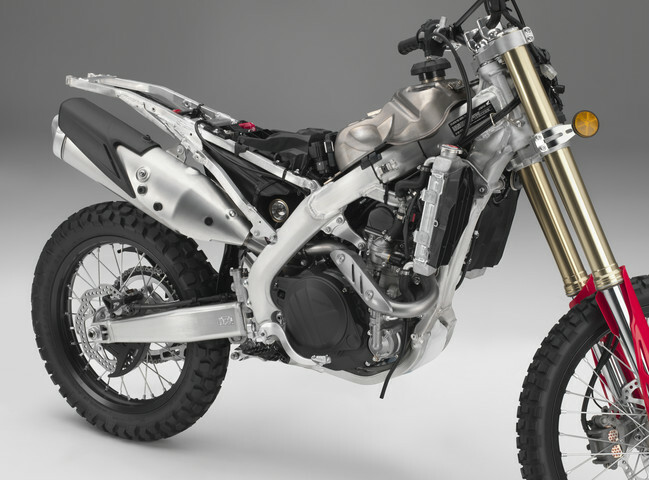 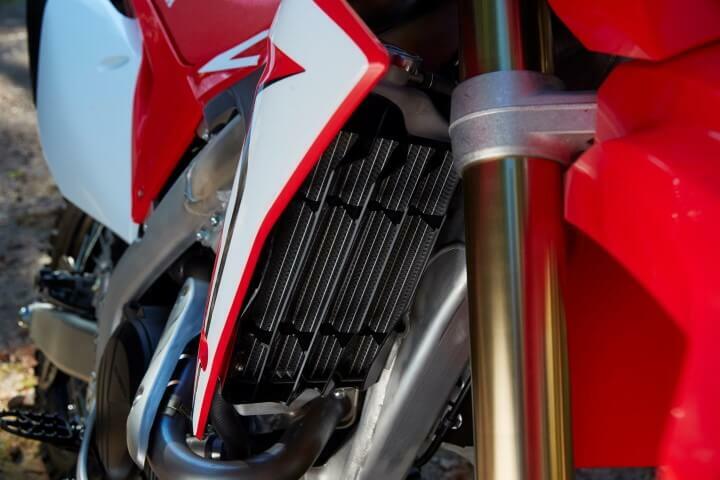 A grand slam though would be if we saw Honda build a 2019 – 2020 CRF450M supermoto out of the CRF450L platform. 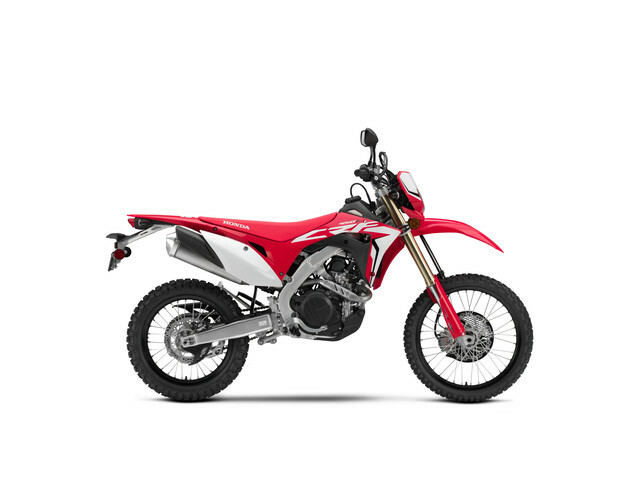 They tried it a few years ago when they build the CRF230M based off of the CRF230L platform which was in return based off of the CRF230F. 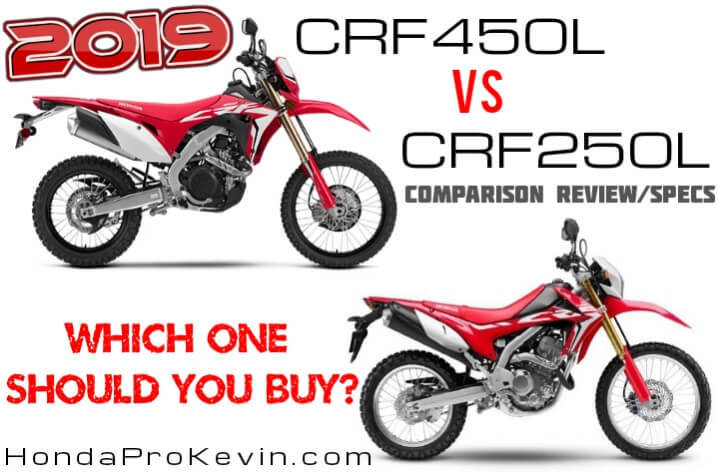 Saying that wasn’t their best decision is putting it nicely but they redeemed themselves with the CRF250L and CRF250M motard which we sadly never saw here in the USA. 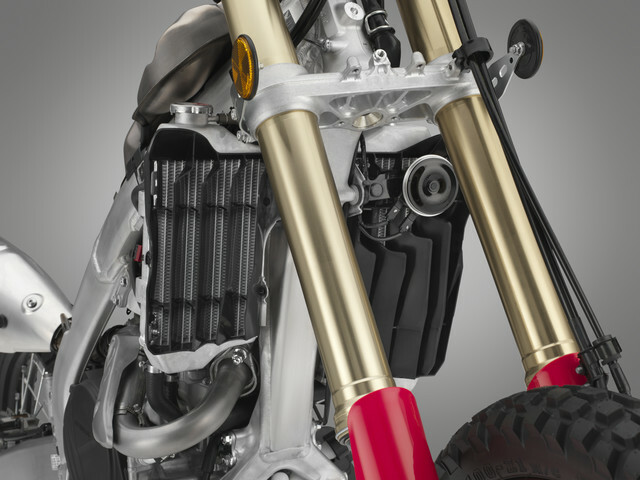 Could the CRF230M turning out to be a dud in sales, made Honda gun-shy to releasing more supermotards in the USA? 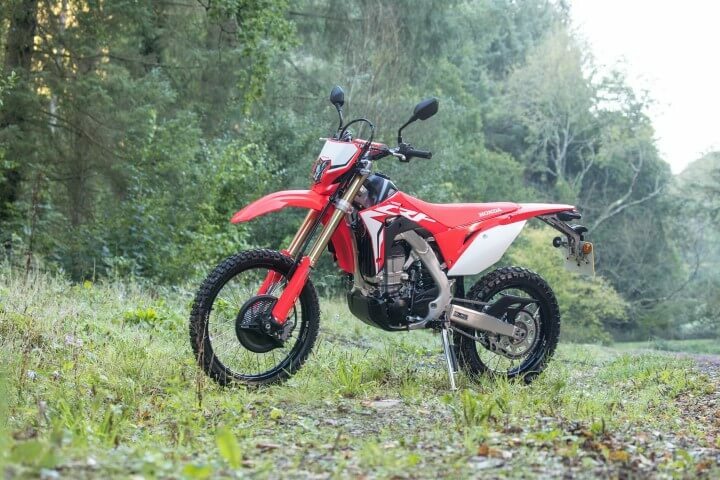 Who else would like to see Honda build a CRF450M? 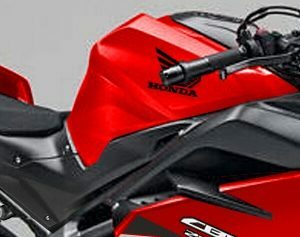 I’d put my name down for one with the quickness! 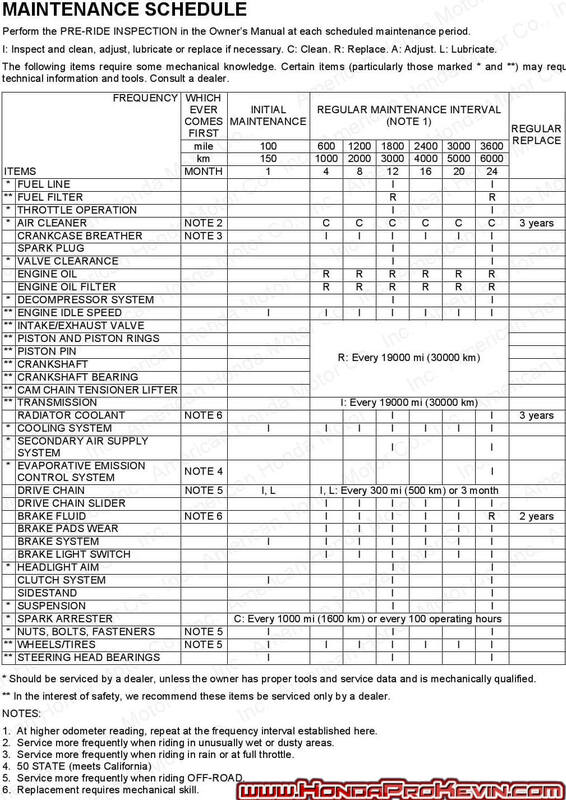 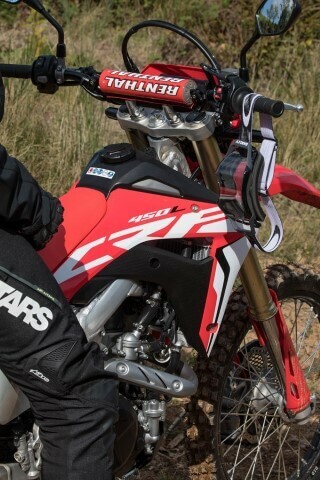 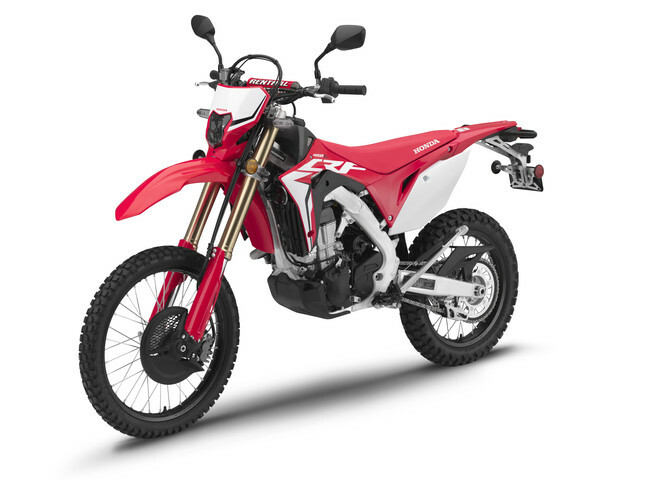 Edit / Update: This page has been updated to show the difference in 2019 CRF450L HP numbers between the USA spec model and Euro spec model. 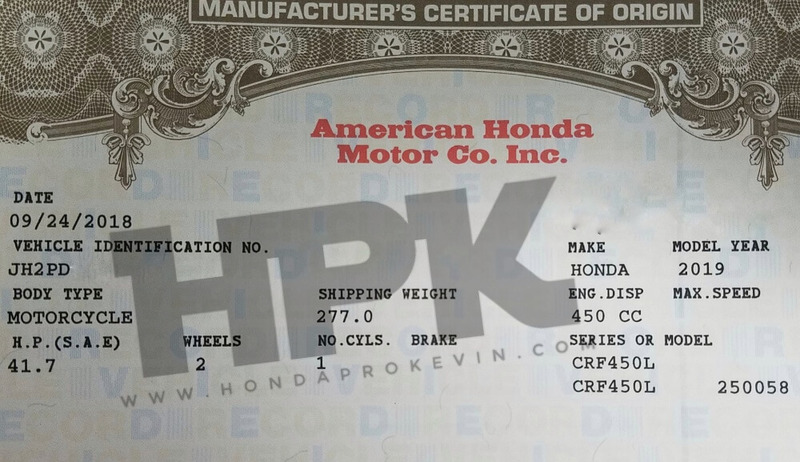 I also took a picture of the now released 2019 CRF450L Manufacturer’s Certificate of Origin (MCO), shown below, so that way there’s no question in what the USA spec model number comes in at. 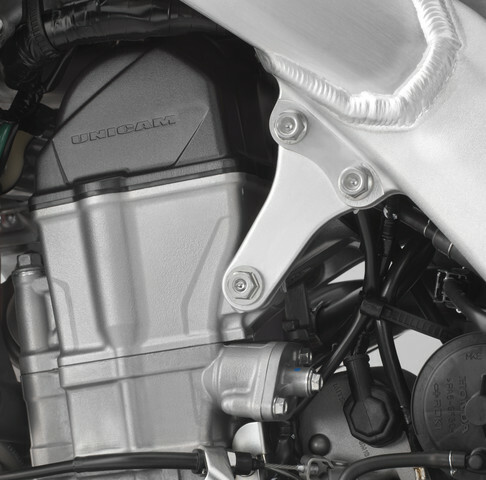 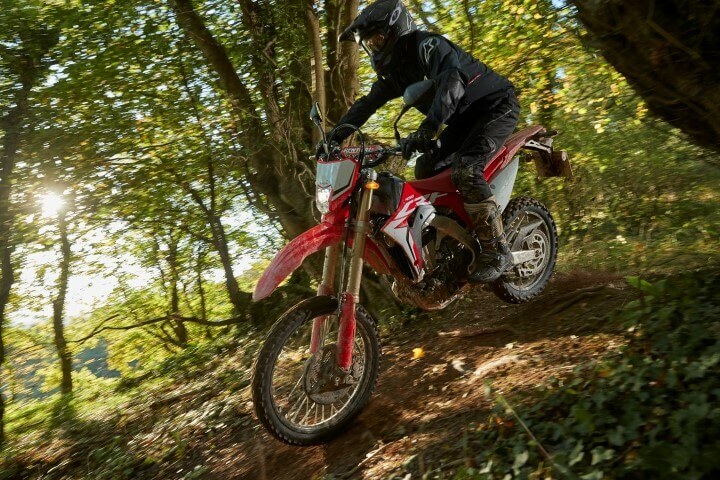 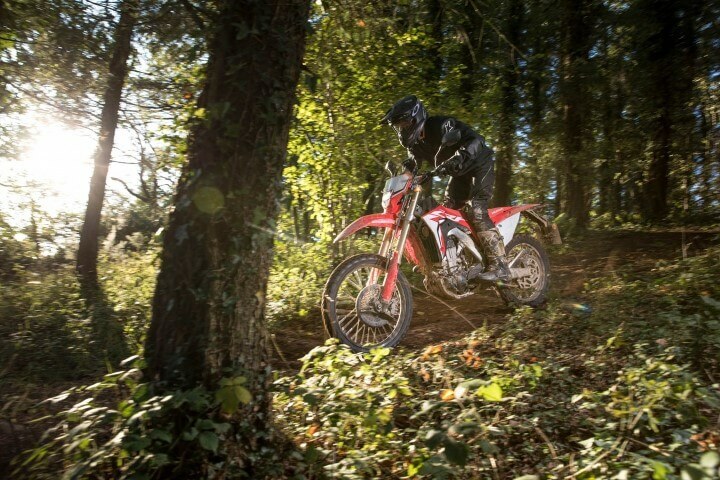 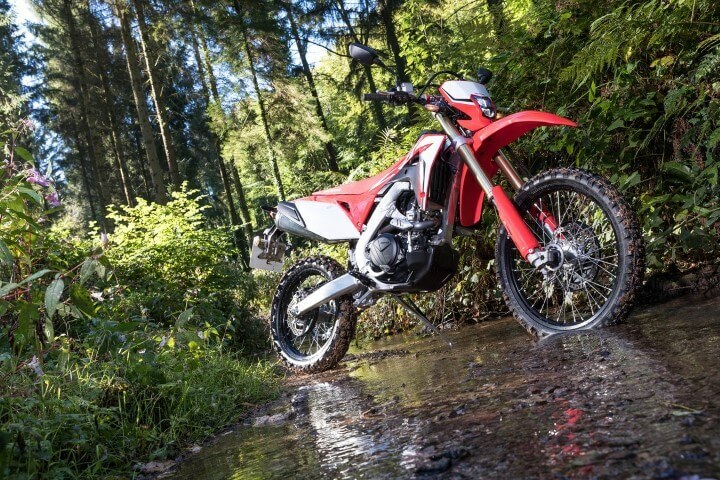 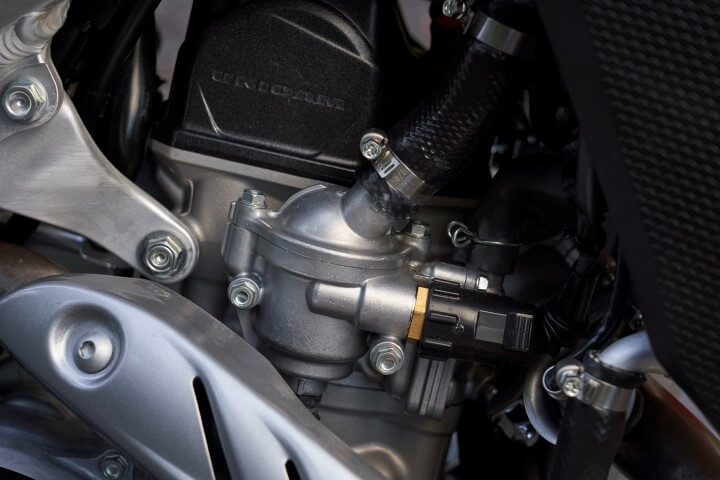 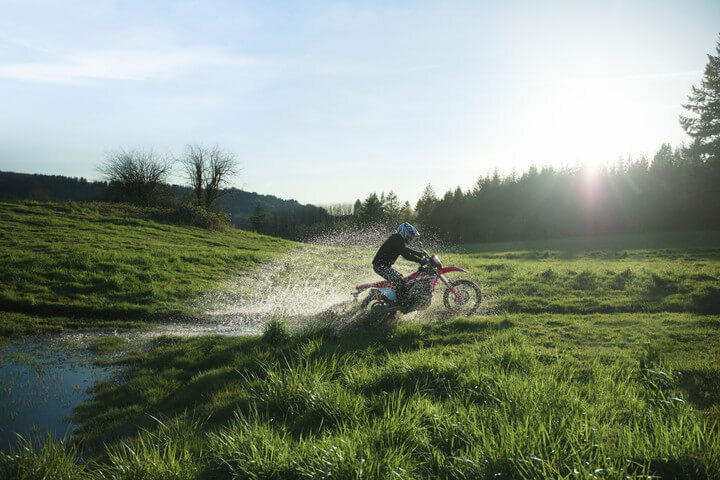 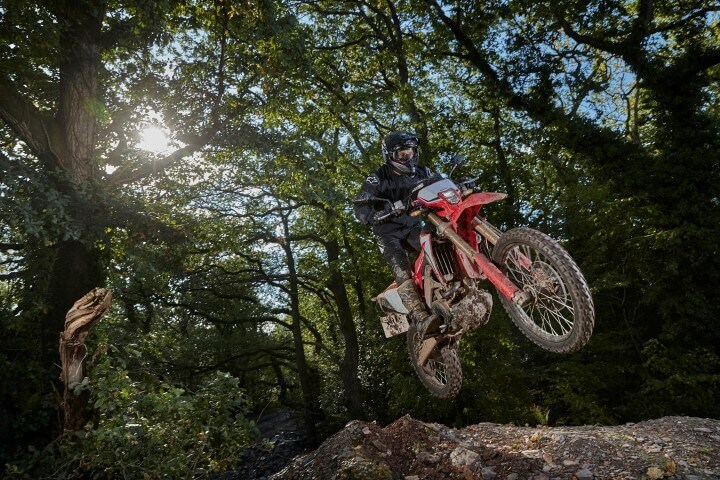 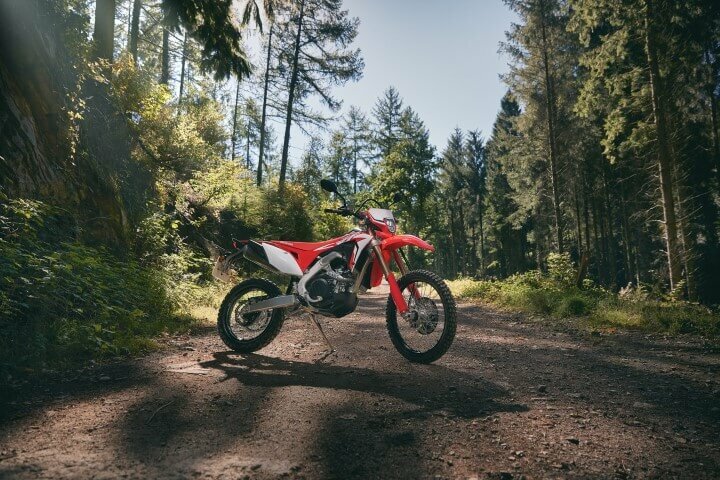 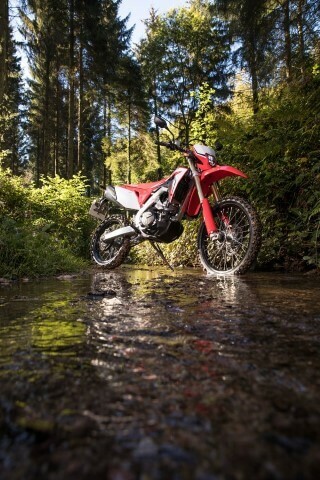 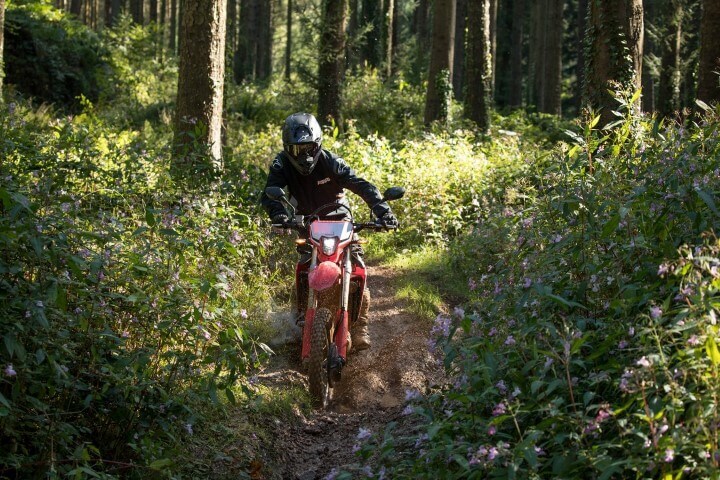 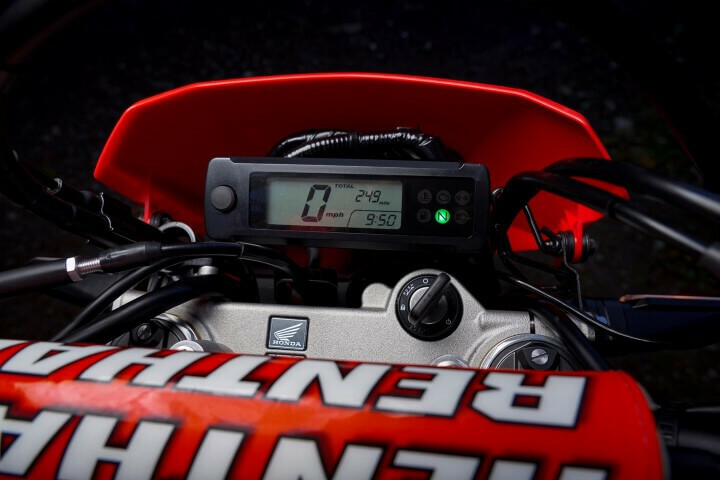 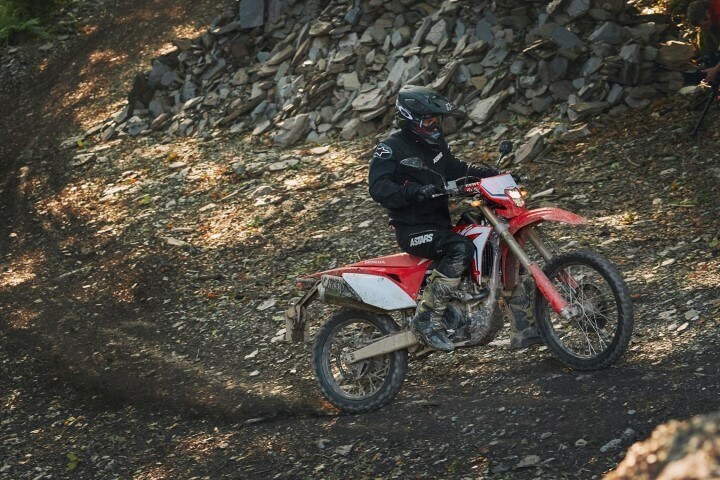 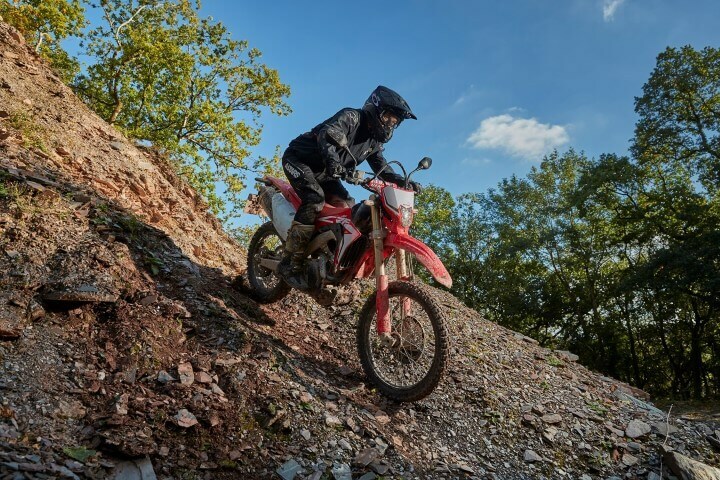 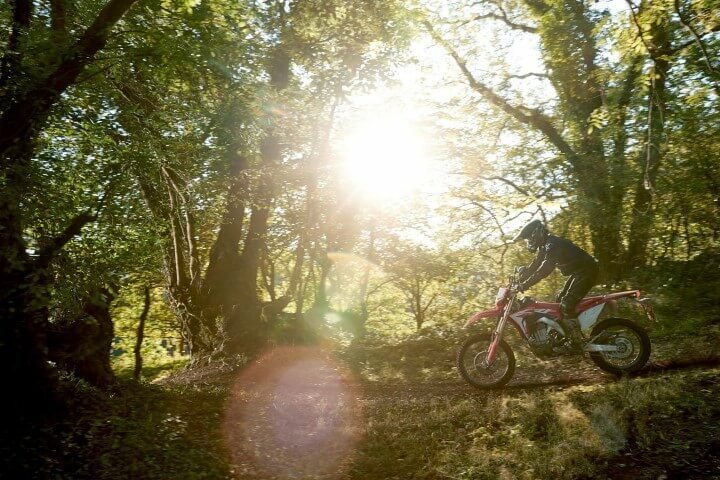 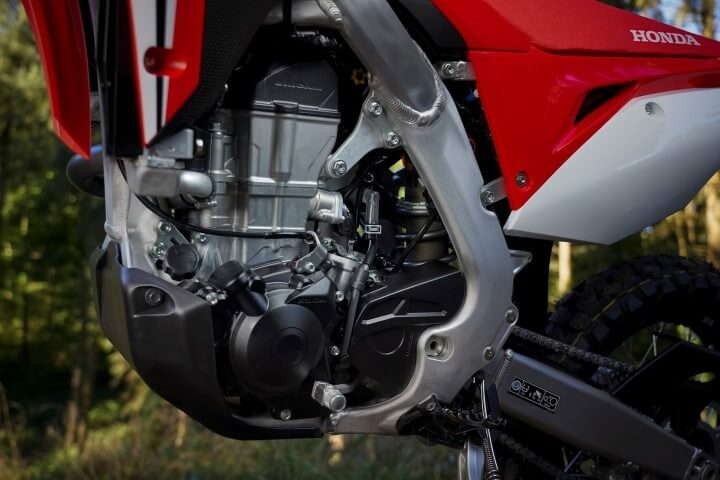 Peak horsepower for the 2019 CRF450L comes in at 41.7 HP (Euro: 25 HP / 18.4kW), with a peak torque rating of 23.6 ft/lb TQ (32Nm). 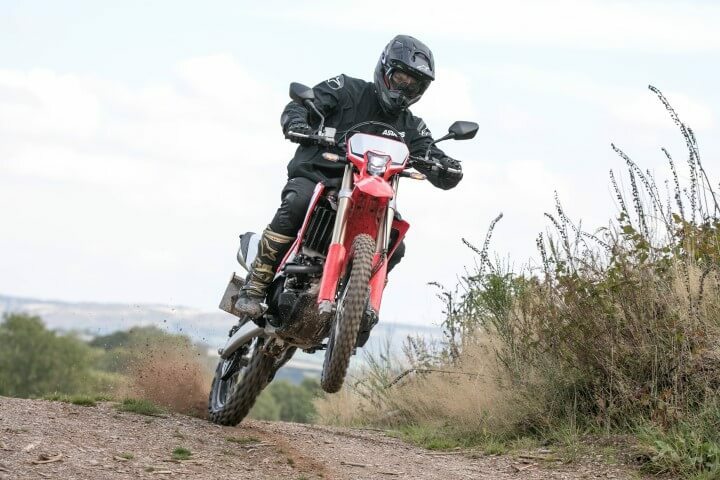 Important from the hobby trail-rider’s perspective is the engine’s reliability and gap between service intervals. 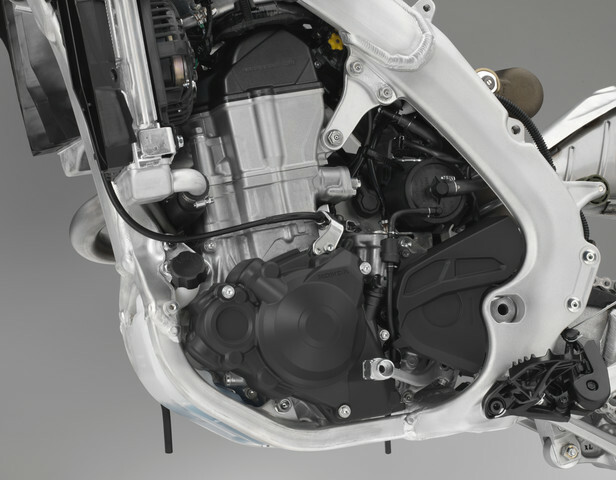 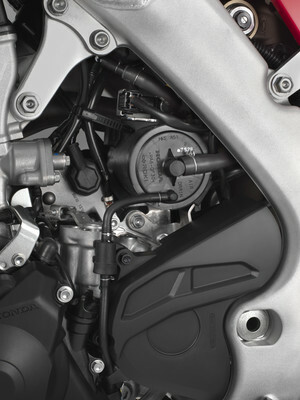 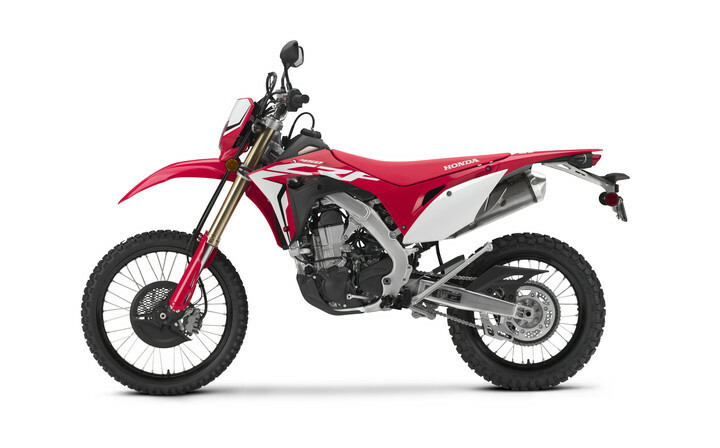 And this is where the CRF450L’s build quality and design really stands out; it will go 19,000 miles (30,000km) between major strip downs, with an air filter oil and oil filter change every 600 miles (1000km). 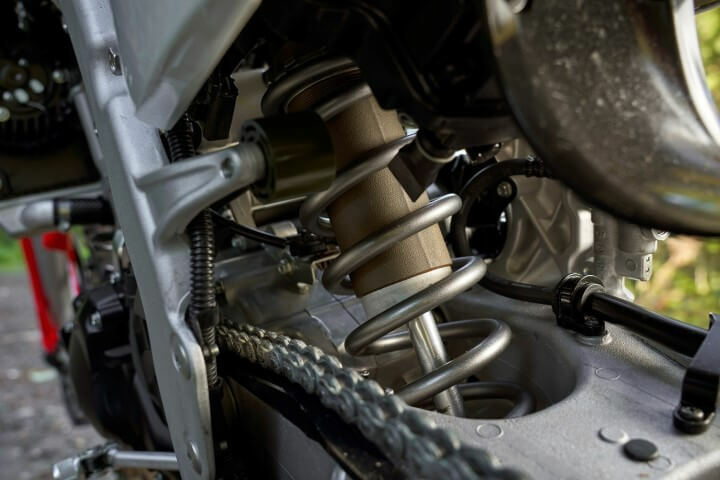 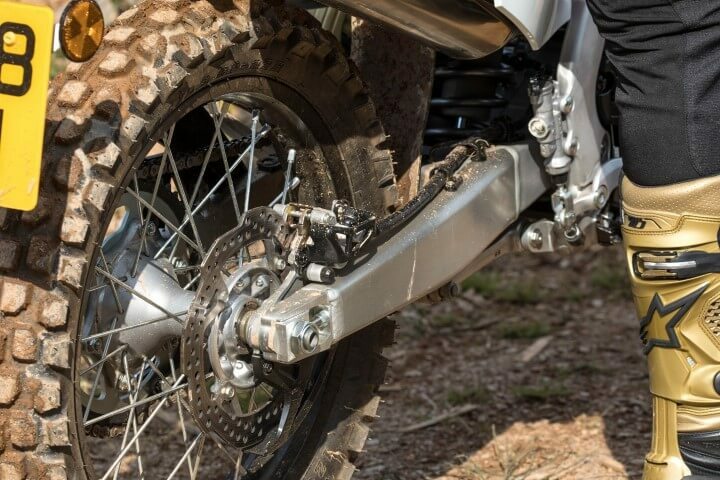 Firstly, the tapered dual-spar aluminum beam frame was made slightly wider at the swingarm pivot points, to allow for the greater engine width resulting from the 6-speed gearbox. 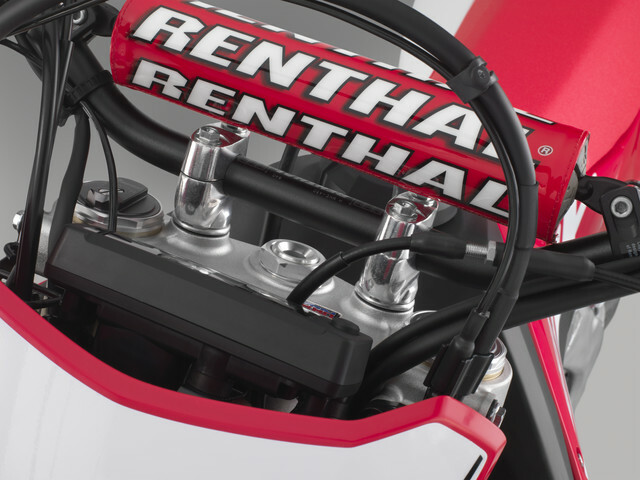 The headstock was modified to mount a steering lock and the aluminum swingarm injected with urethane to reduce noise. 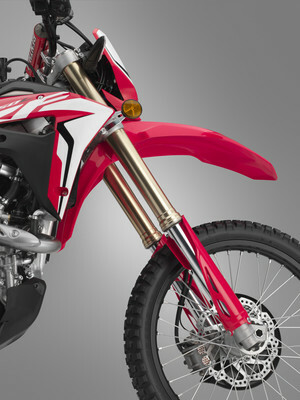 The rear subframe is the same, with mounting point adjusted to take the taillight and the right-exit single exhaust muffler. 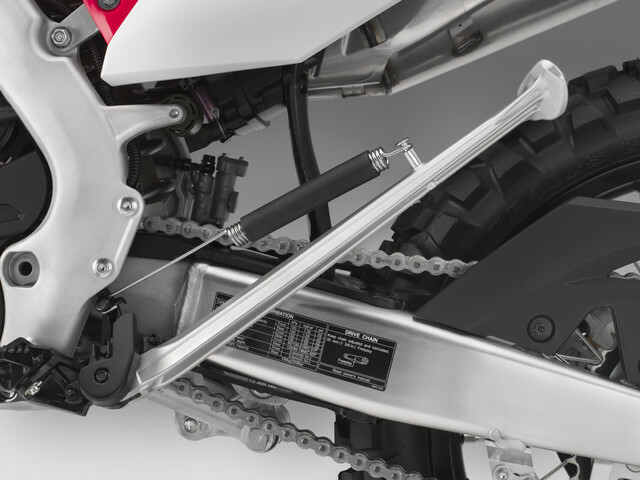 Rake and trail are set at 28.5°/122mm with wheelbase increased 18mm from the CRF450R to 58.9 inches (1500mm), for greater stability. 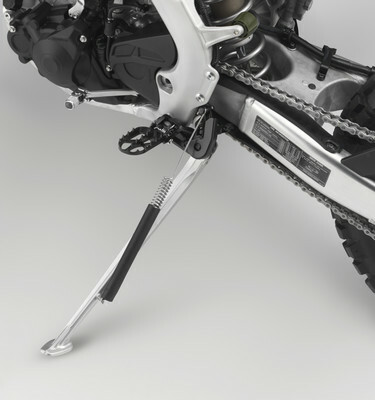 Both the R and the L feature 22mm fork offset.Wet weight is 289 lbs (130.8kg); seat height is 37.1 inches (940mm). 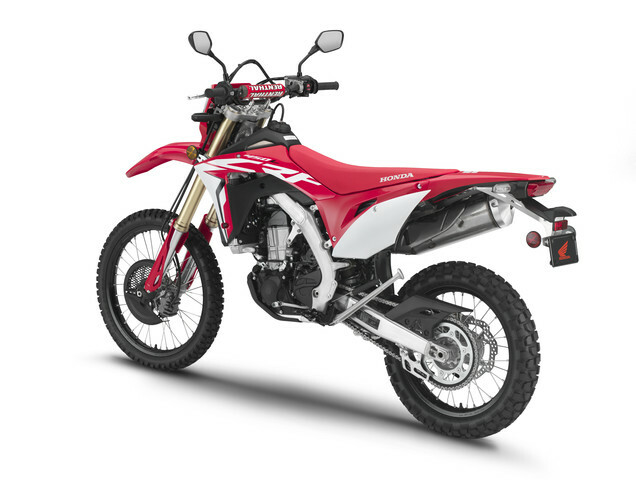 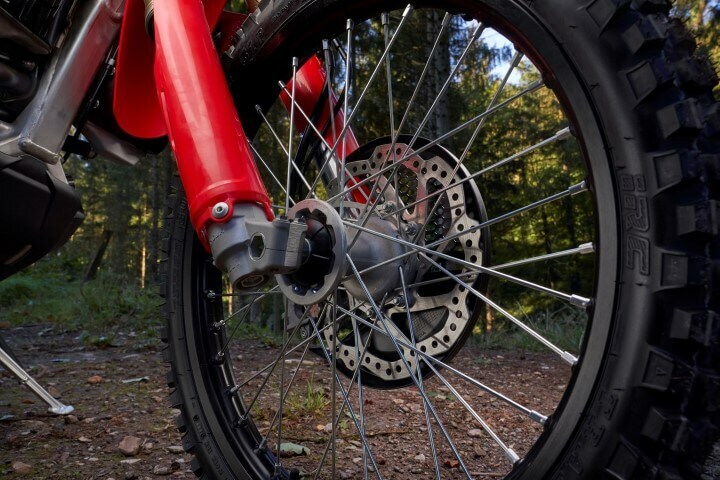 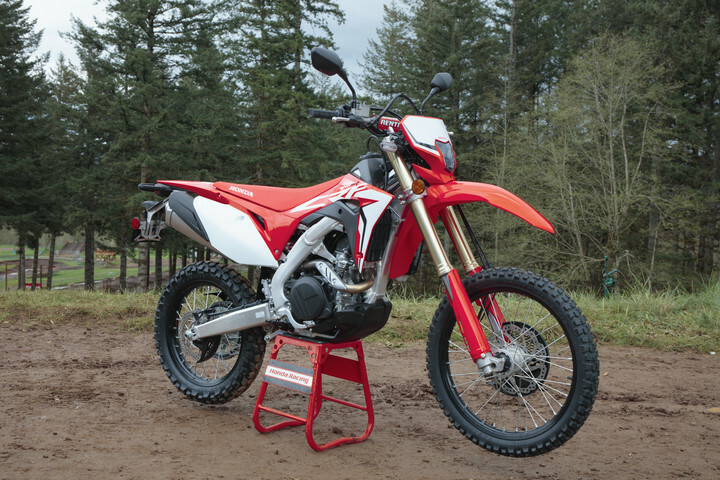 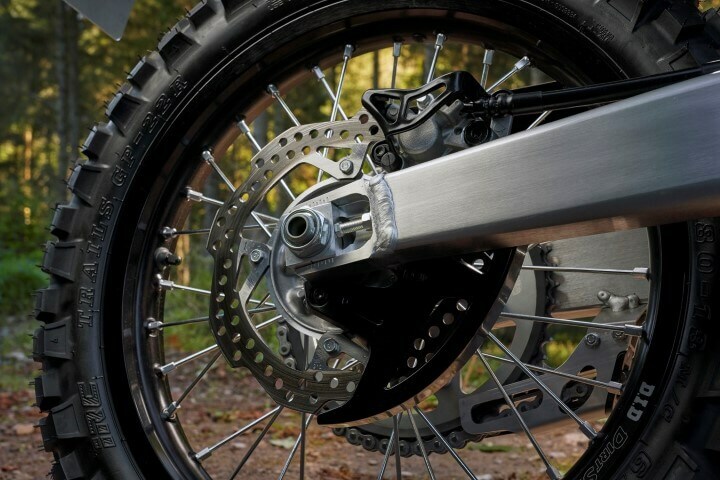 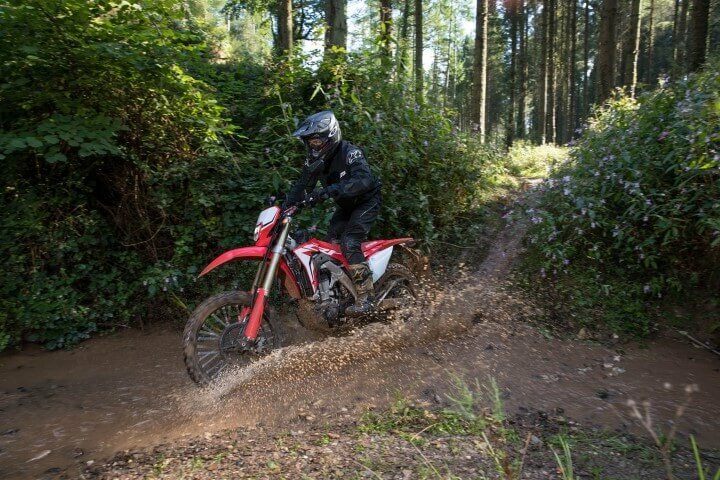 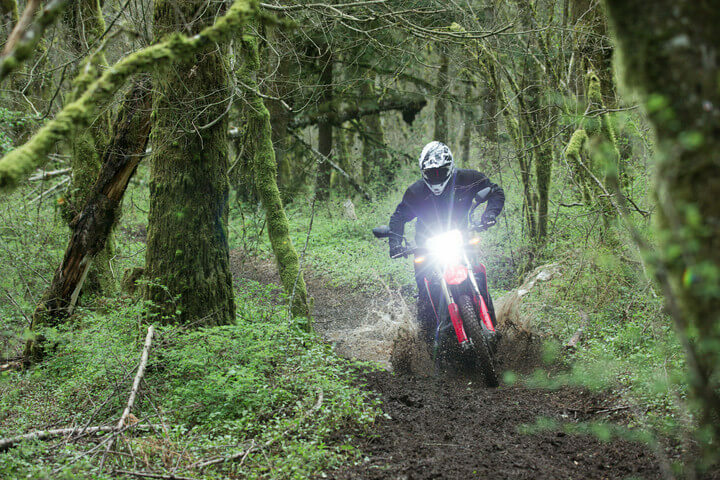 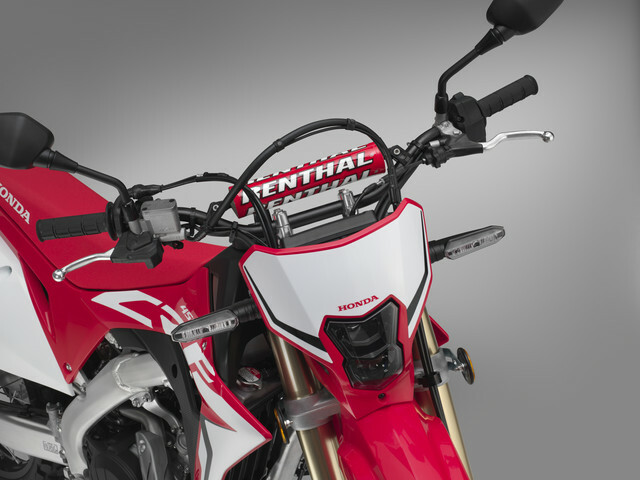 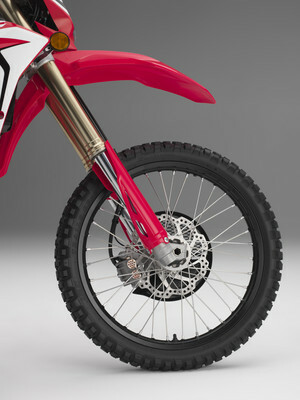 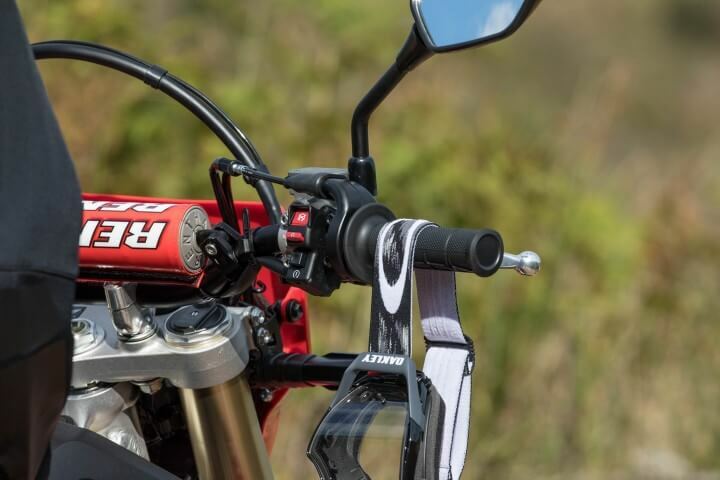 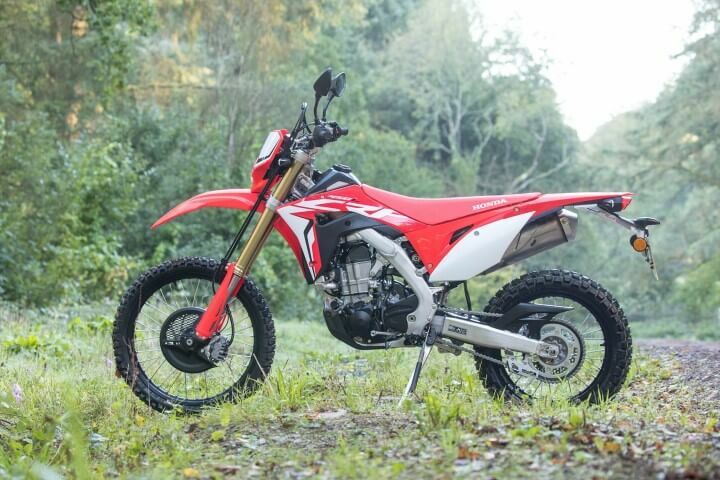 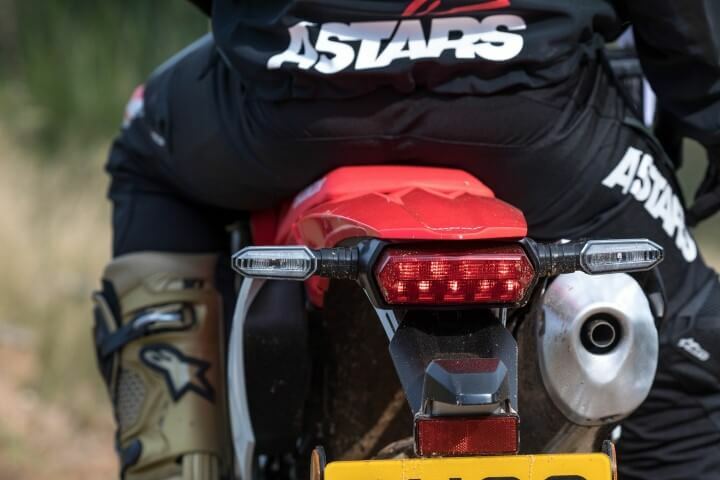 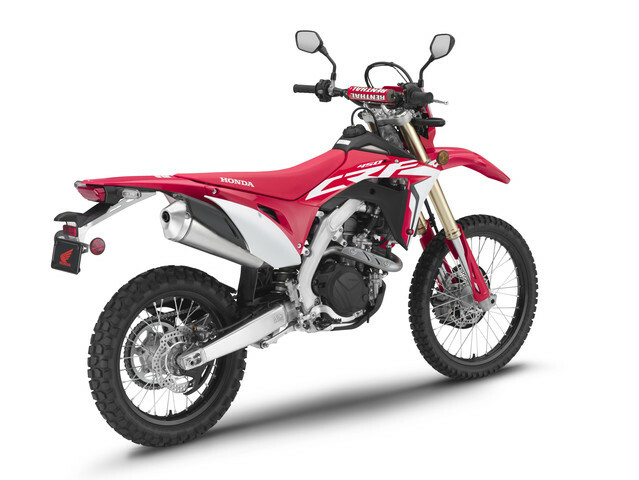 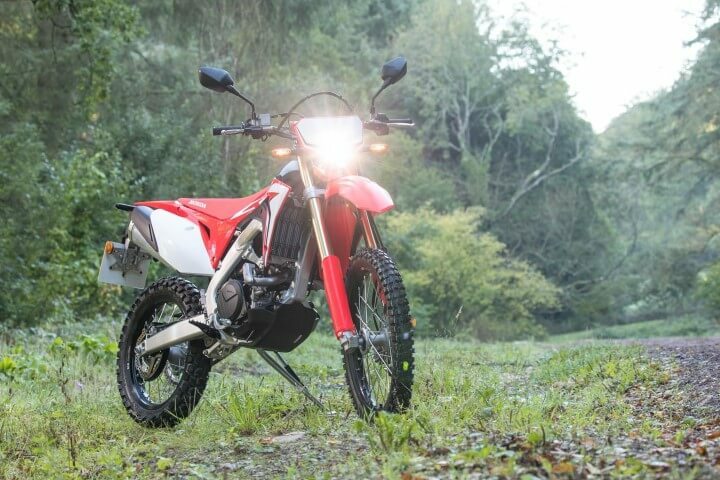 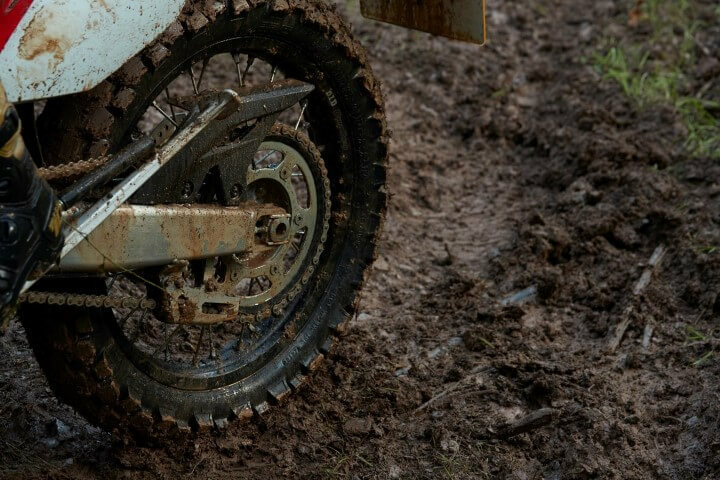 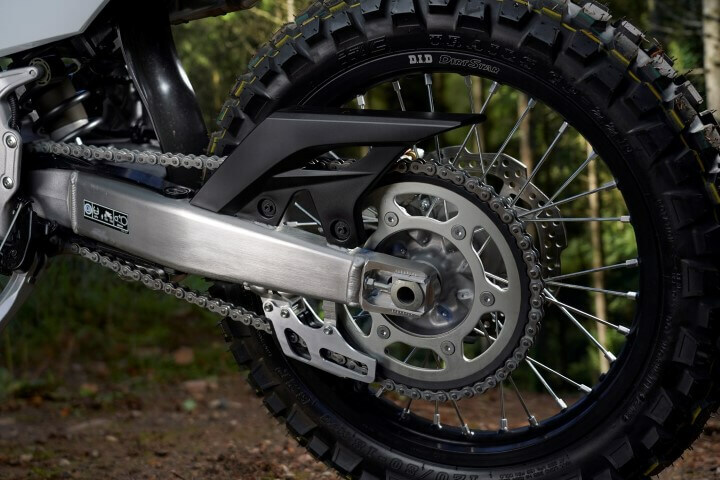 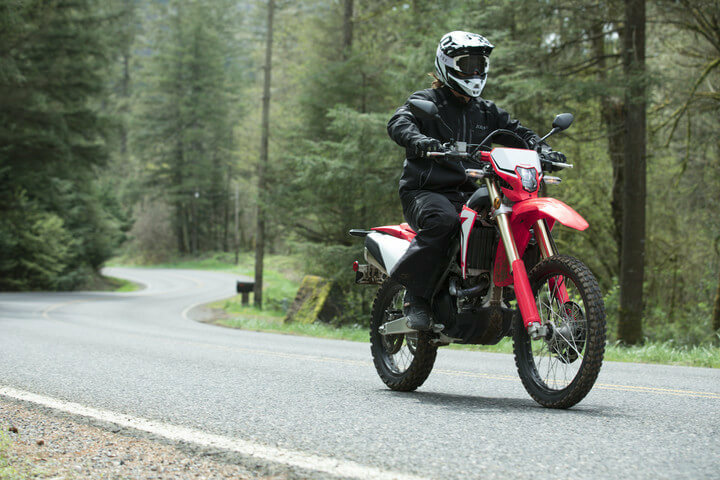 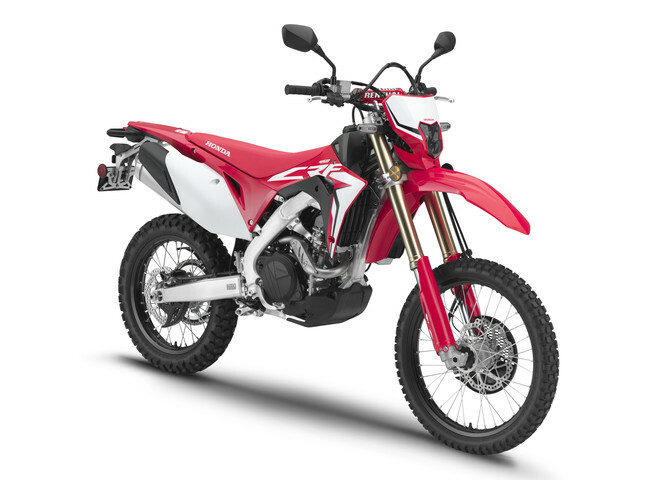 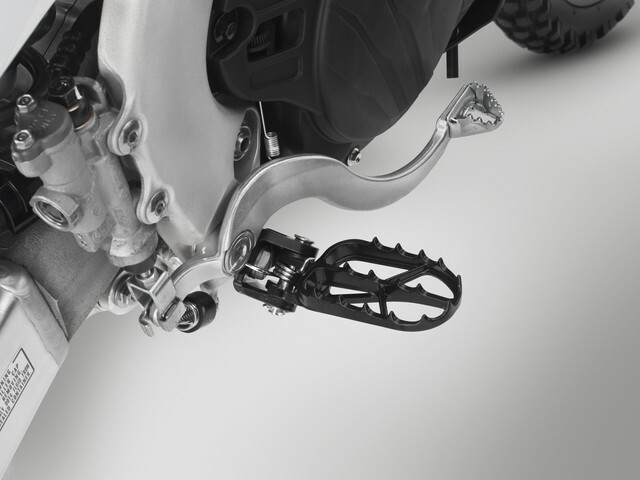 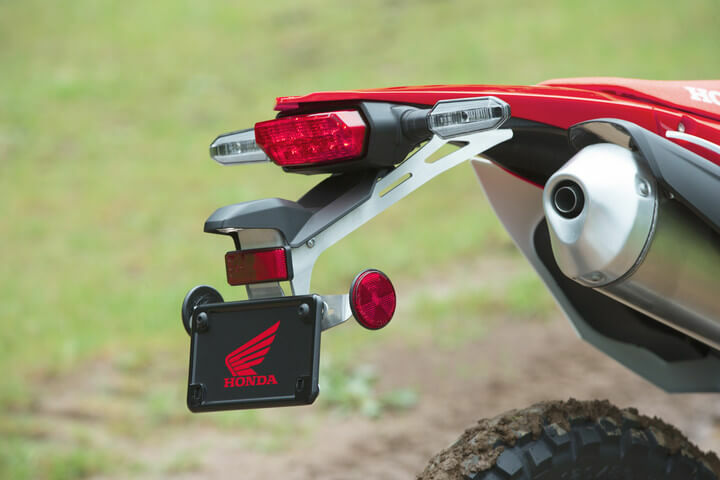 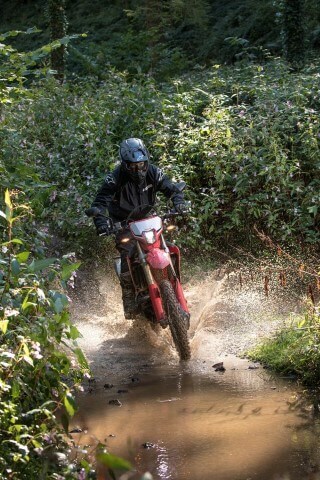 Whereas the CRF450R machine uses a 19-inch rear wheel, the CRF450L’s is an 18-inch (to fit enduro-spec tires), with the addition of a cush drive to absorb chain shock; a sealed 520 chain is protected by a plastic chain guard. 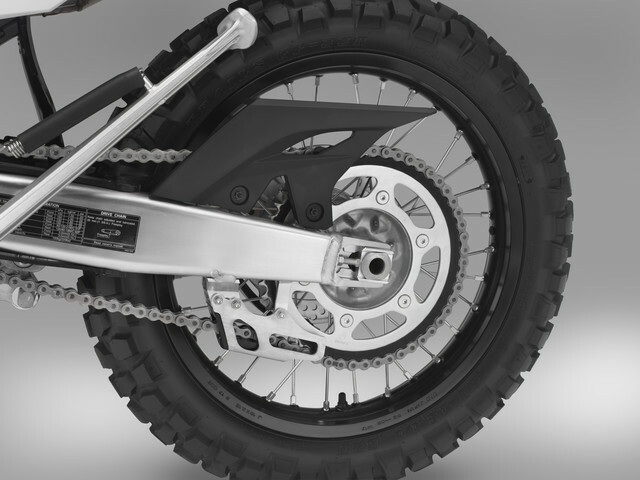 The front wheel is a 21-inch and both rims are finished in black. 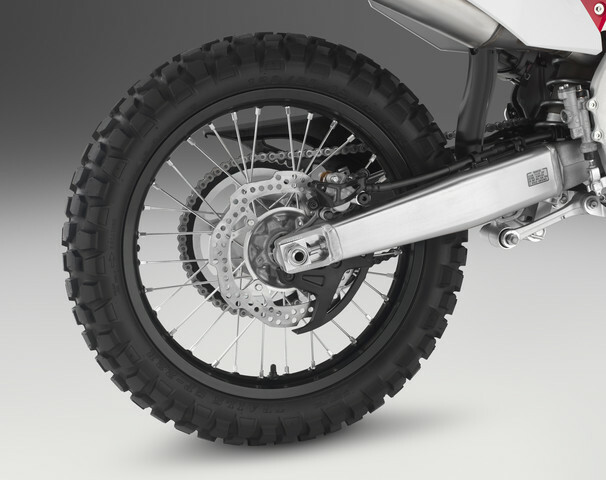 tires are sized 80/100-21 front and 120/80-18 rear. 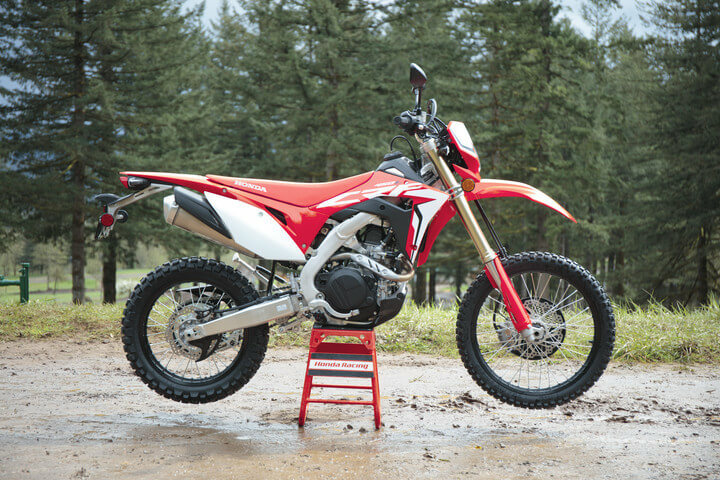 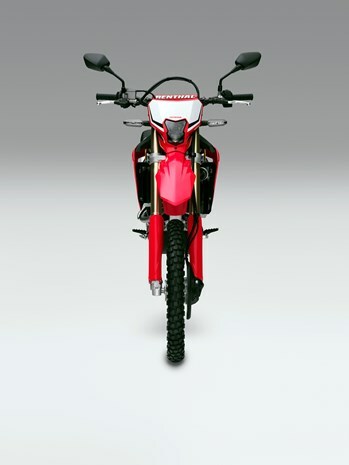 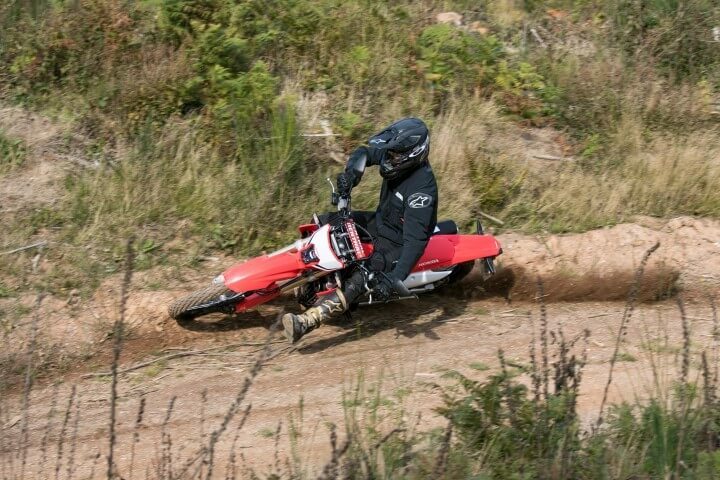 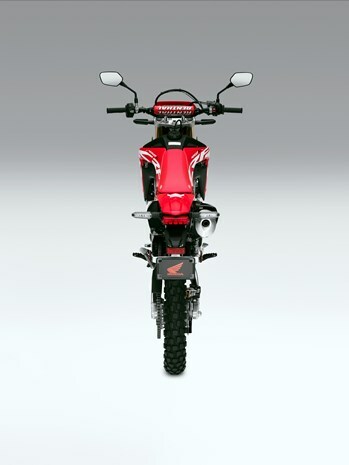 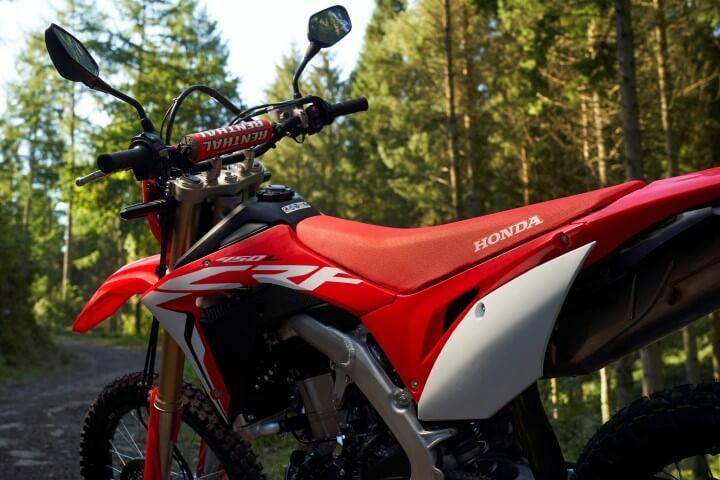 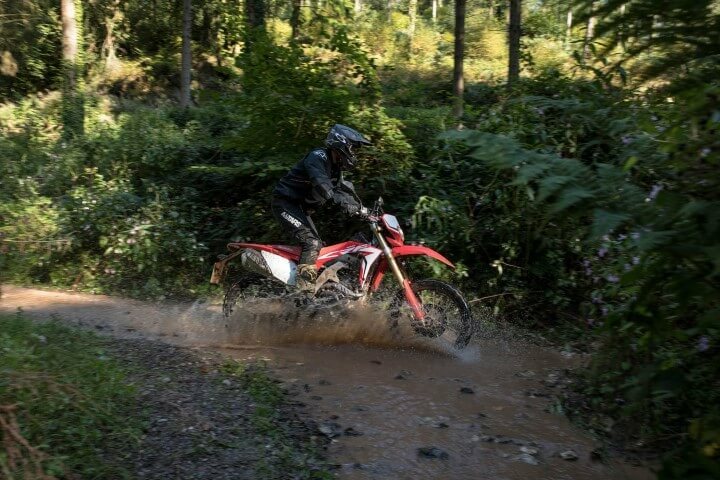 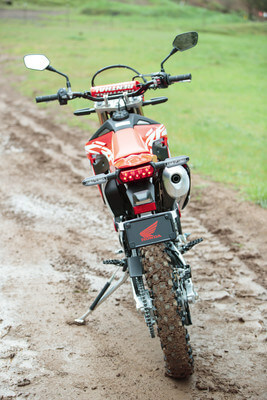 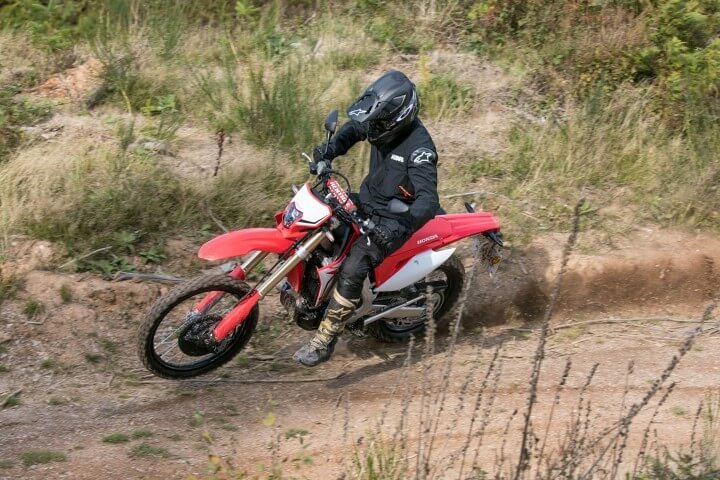 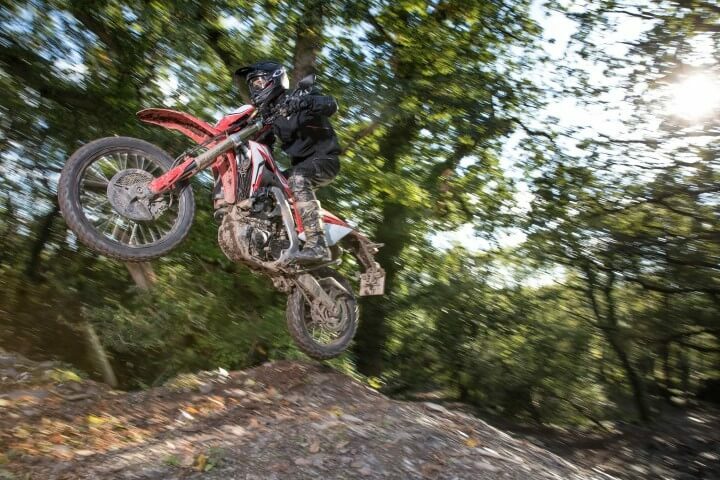 The CRF450L’s style draws fully on that of the CRF450R. 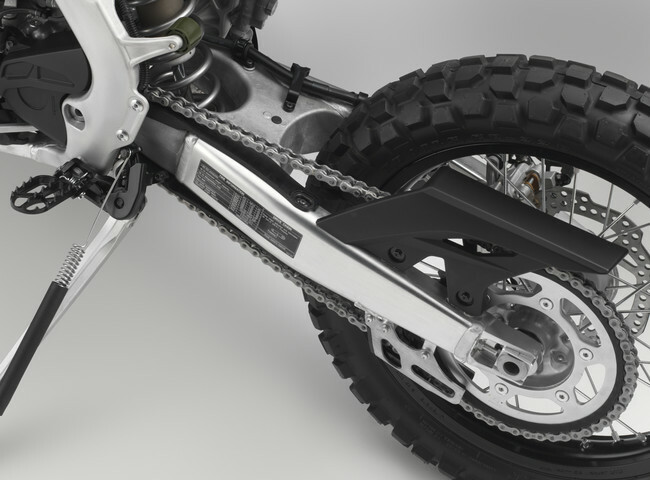 Carried over are the rear mudguard, side panels and bash plate. 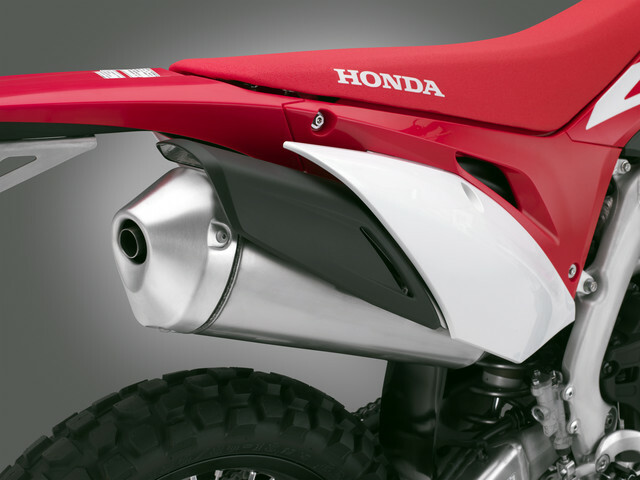 Svelte side shrouds hide a larger radiator volume plus electric fan. 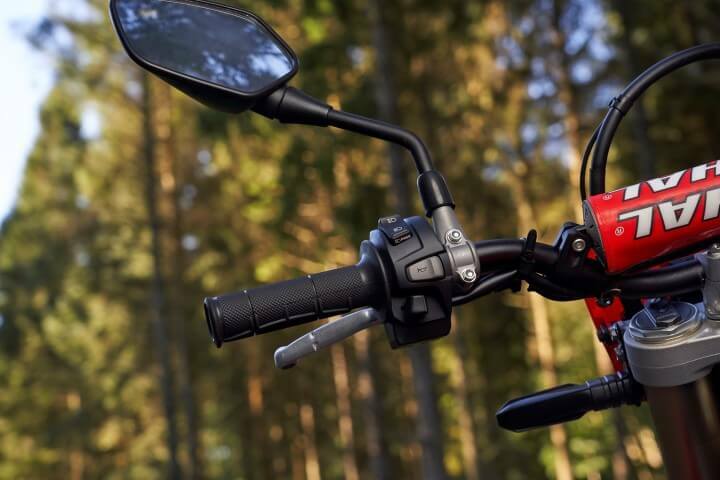 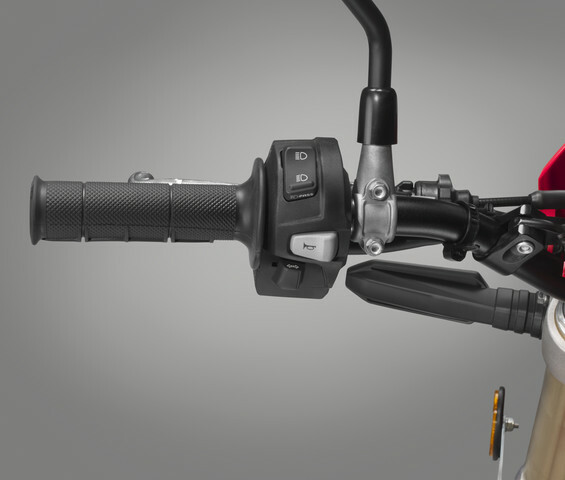 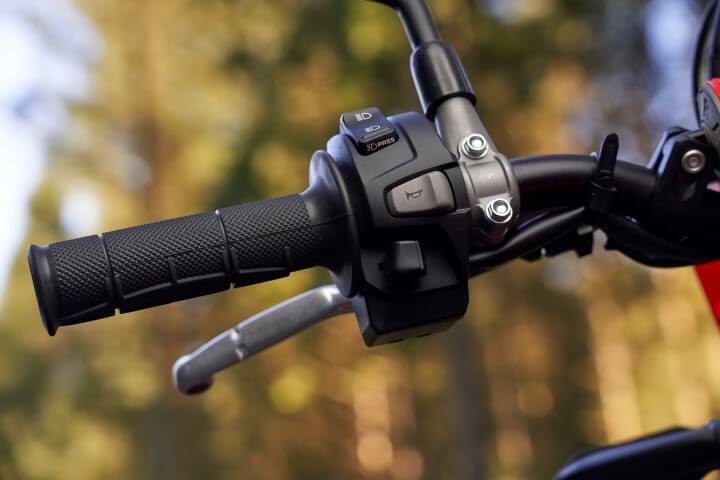 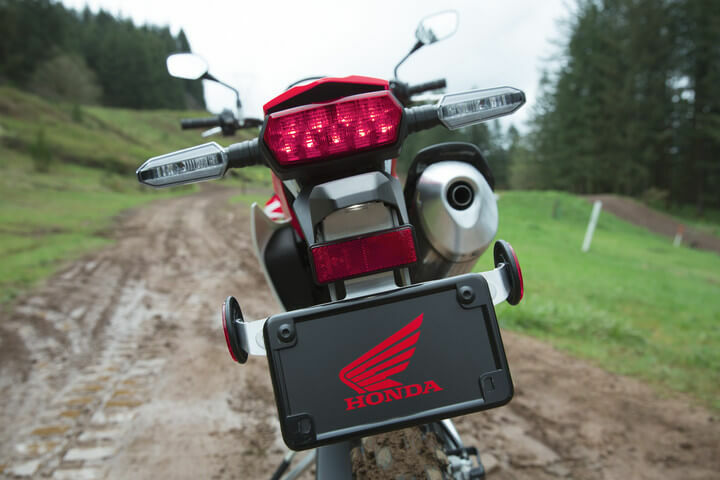 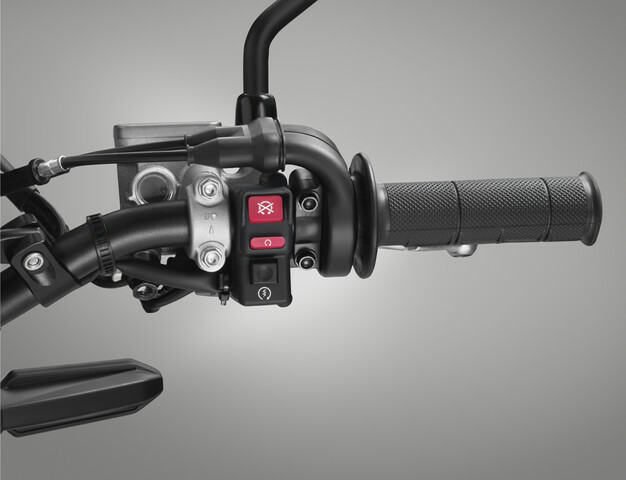 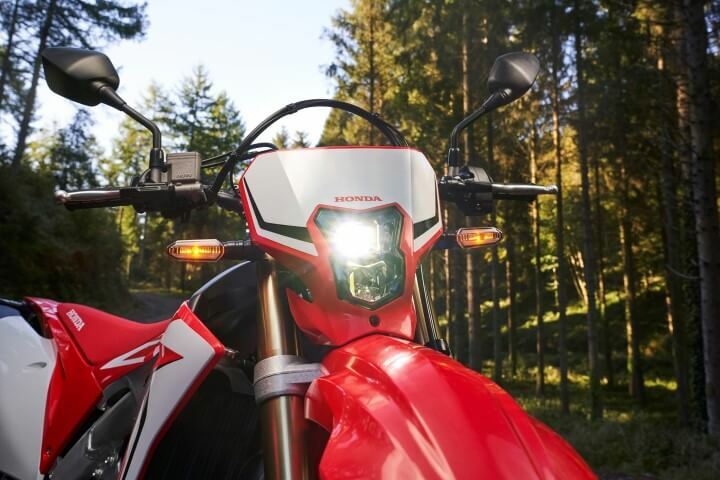 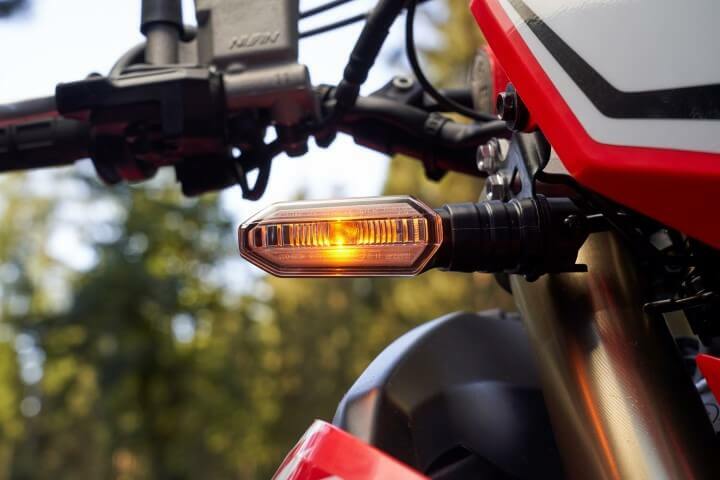 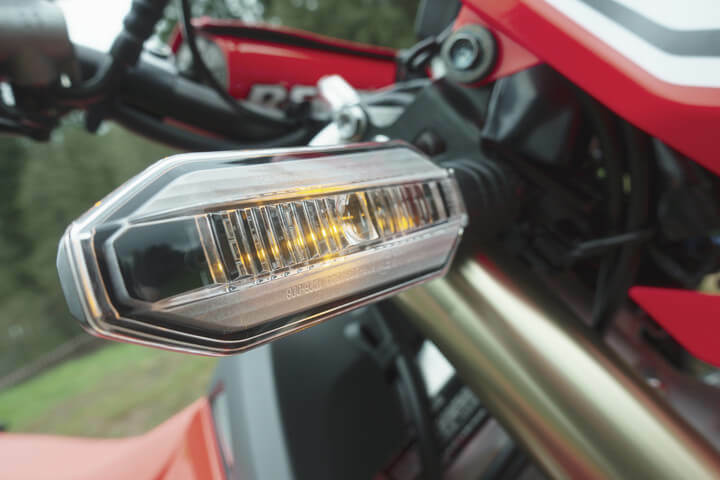 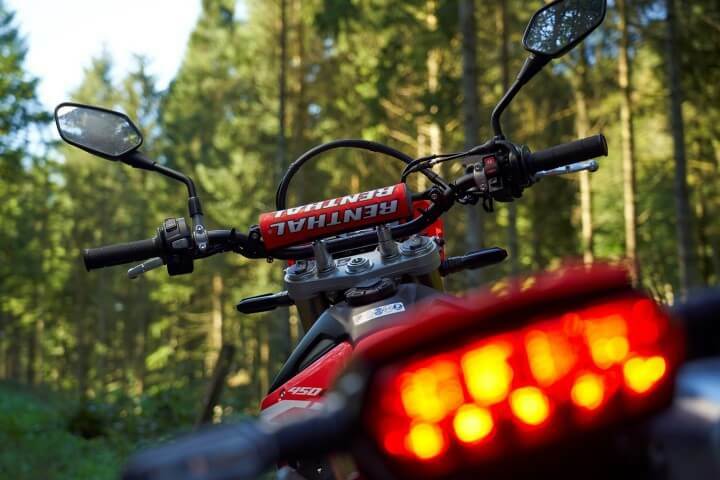 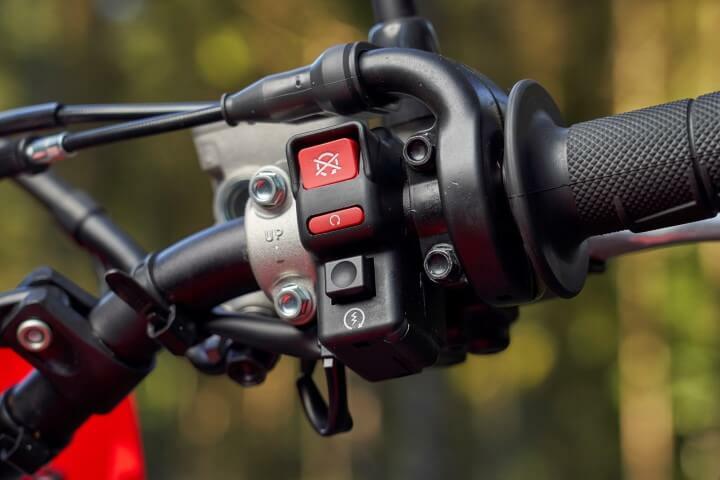 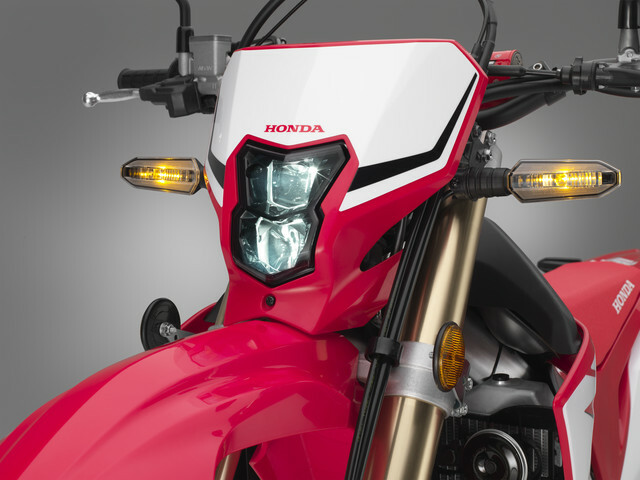 All lighting (including the indicators and license-plate light) is LED; a speedometer, horn, brake-light switch and mirrors satisfy legal requirements while a sidestand adds convenience. 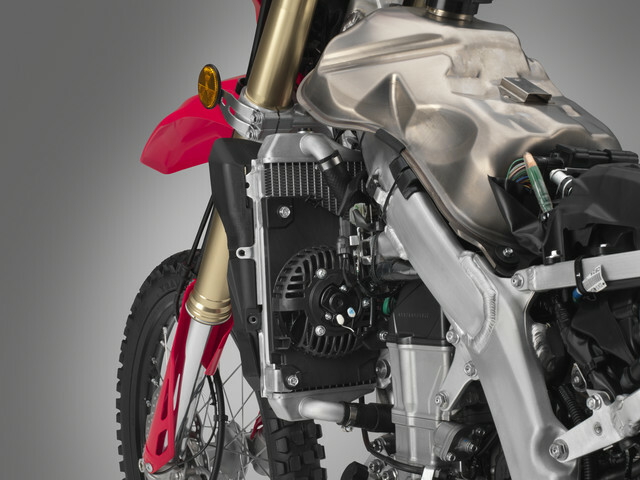 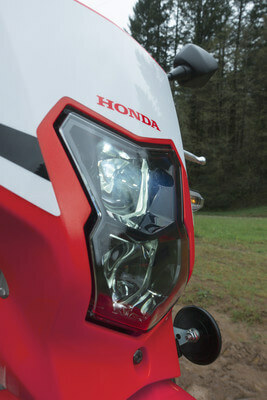 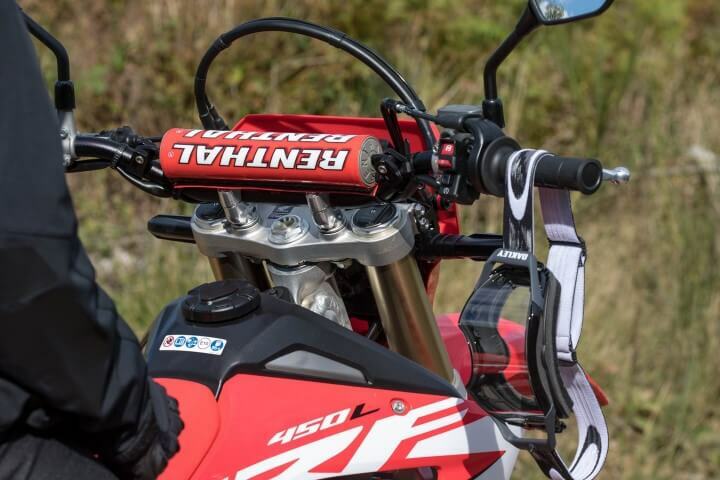 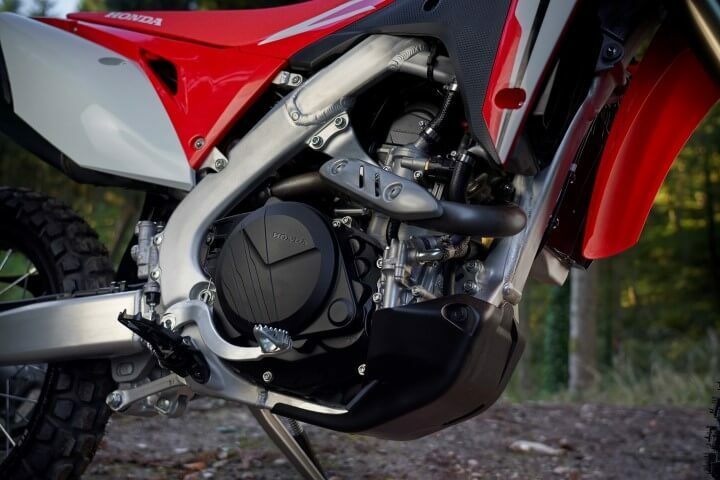 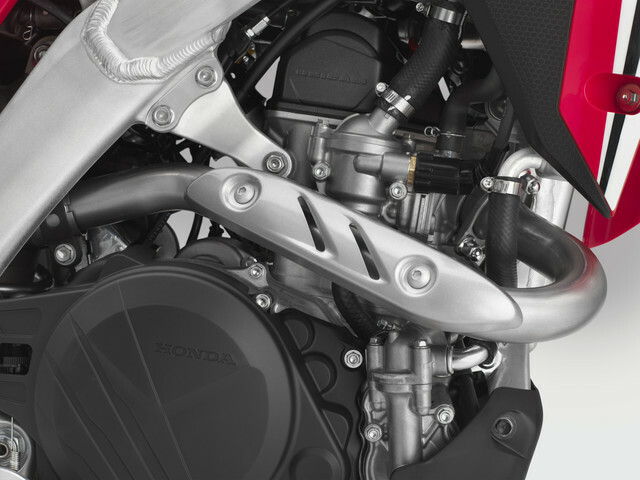 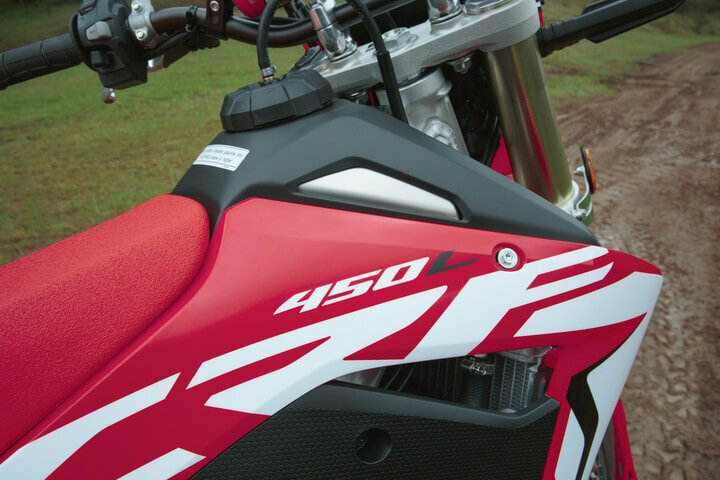 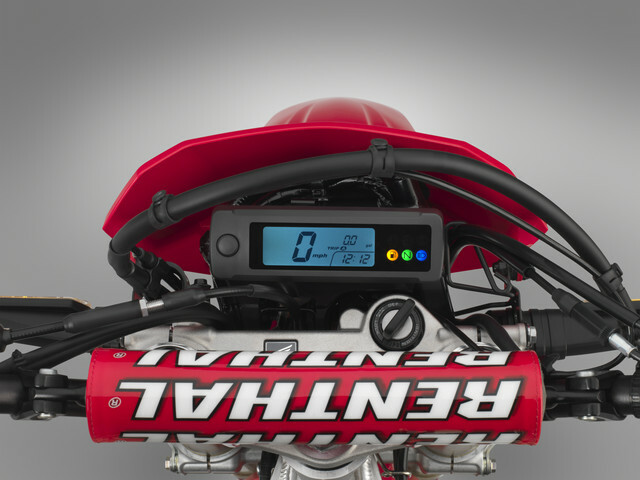 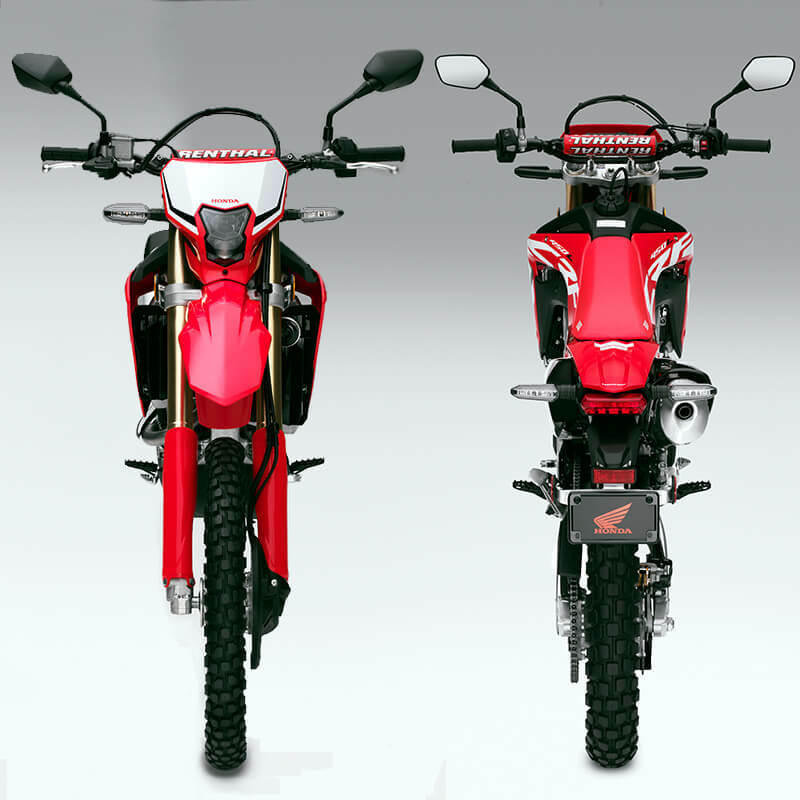 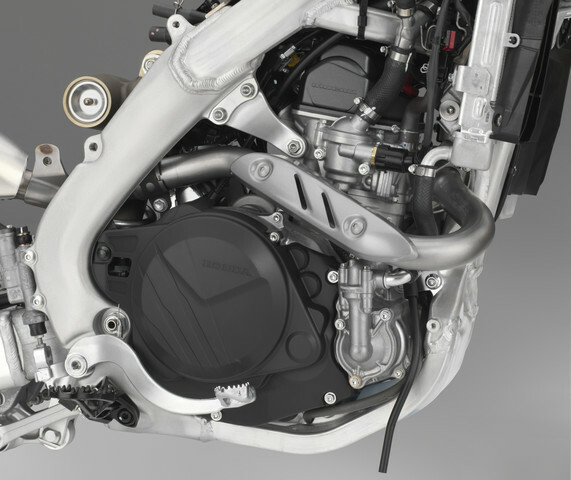 The CRF450R employs a 1.66 gal (6.3L) titanium fuel tank; the CRF450L ups the volume .34 gal (1.3L) to 2.01 gallons (7.6L). 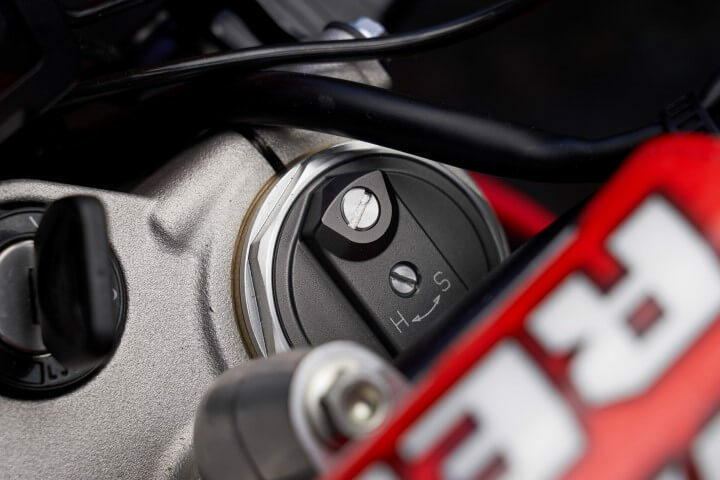 The fuel cap also locks in place.